No Refund will be entertained on discounted merchandise. Please write to customercare@ritukumar.com for any exchange queries. It is our endeavor to provide you with the best customer service possible hence we permit returns and exchanges within 14 business days of receiving the package but only incase of the following reasons. No other requests will be entertained aside from those mentioned below.  You need to inform us within 48 hours of receiving the package on customercare@ritukumar.com, else the goods will be considered sold and no further requests will be entertained. Incase of above exchanges, the money will issued to you in the form of a voucher code with a validity of 1 month. We do not permit any returns or exchanges for international orders. You need to inform us by email within 2 business days of receiving the parcel on customercare@ritukumar.com or call us on +91 124-6634335. If we are not informed within 2 business days regarding a return, the merchandise is considered sold for good. Please email us to inform us that you are sending the package back to us, with your order number as the subject line and tracking details in the body of the email. Once we receive the products it will take is 24-48 working hours for us to do a quality check and then we will call you or email you for an exchange.